Keeping an eye on the rising trends is an essential part of our business. Over the years, we’ve seen British bathrooms evolve from functional closets to luxurious en suites. Making predictions for the coming year is just for fun as we believe that each bathroom we create should be tailored to the family or business that will be using it. 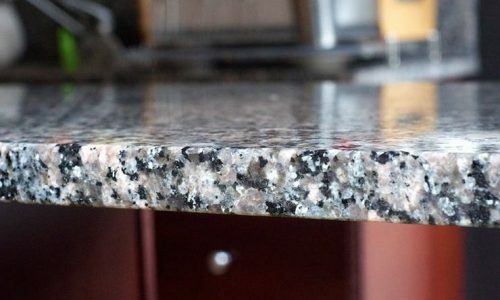 That’s why we use both traditional marble and granite and high-tech materials like Silestone. We also make sure we keep a full range of colours on our roster, so if your favourite shade is out of fashion, don’t worry: if we haven’t got it in stock, we can order it for you. From feature walls to unusual bathtubs, eye-catching design elements have been big in 2015 and are set to dominate in 2016. Once only seen on TV design challenges, these quirky elements have made their way into homes across the country. What’s great about this trend is that it’s so flexible. Anyone can incorporate a stand-out feature in any bathroom, large or small. The feature can be uniquely personal, such as a bright, Silestone wall or a colour scheme drawn from a favourite work of art. Another trend that has been developing for several years. Natural and rustic materials are still holding sway in bathroom design. Creating a lush, verdant setting which gives the illusion of bathing in a tropical waterfall or a quiet forest pool is the ideal. Fortunately, you don’t have to go all out to create a serene atmosphere. Rough granite tiles, bamboo or wood fittings and a rainfall shower will take you a long way. From heated floors to waterproof radios, TVs to beauty aids, technology is making its mark on bathroom design. It might seem like a stark contrast to the natural serenity mentioned above, but some switched-on souls are even combining the two, using technology to create an atmosphere where they can relax in the bath while listening to The Archers or their favourite music. Others are using it to create a more efficient lifestyle, perhaps watching the news while they brush their teeth. Look out for unusual technical ideas appearing in 2016. We’ve seen a prototype device that fills the bath when you text it from your phone! Open shelves, free-standing tubs and lots of white with pops of colour give the impression that everything in the bathroom is easy, accessible and available. You don’t have to look for a towel – in this style they’re right there on an open shelf, a bright zing of colour in a neutral room. The great advantage of this style is that it’s easy to recreate in a small space. Swap the free-standing bath for a floor-level walk-in shower, add some pale Silestone or marble tiles, and you’ve got a compact bathroom that’s both practical and delightful. High level open shelves are a great storage choice in smaller bathrooms, too.